Flash back to 2015 when I was sat in the comfort of my sofa watching the likes of Simon, Tony and Emma being put through their paces by John and Gregg. My husband leaned over to me and whispered, “You should give it a go…”. I was initially horrified at the suggestion, never being one to step too far out of my comfort zone or risk putting myself into potentially stress inducing scenarios. The was a reason my nickname was ‘Piglet’ at University, I was fearful of everything and suffered from bouts of anxiety. What if people hated my food? What if people hated me? What if I had a full-on melt-down on National TV?? I went back to drinking my glass of wine and stroking the cat, shaking my head in disbelief that he would dare suggest such a thing. However, that year something changed. I was disillusioned with my office job and bored with being sat at a desk; worrying about approaching my 40s and never having ‘achieved’ anything in life of significance other than creeping up yet another dress size. I was tired of fearing doing anything different, daring or new – I only got my ears pierced at the age of 37 and that was after a lot of cajoling by my step-daughters. 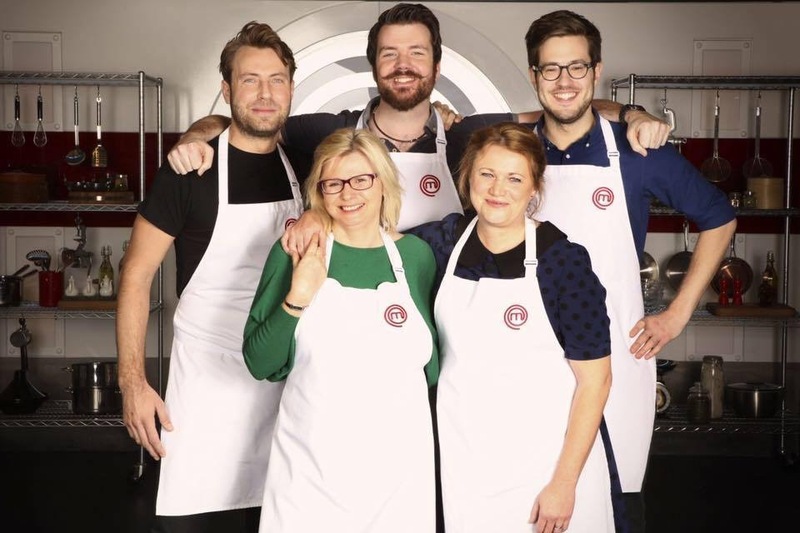 So, one wet and windy day in June, after a particularly trying meeting at work a tweet popped up on my feed ‘Applications for MasterChef are still open – it’s not too late to apply’. It was then I had my ‘eureka’ moment. When I sent off my application I honestly never expected to get a phone call let alone be shortlisted for the show, but here I am. I cannot urge anyone enough to give it a go if you are at all interested. It is quite an extraordinary experience and impossible to put into words. I learnt so much in that short time, not just about cookery but about who I am as an individual. I certainly came out of it with a new philosophy on life and met some fantastic characters that I know will be friends for life. You can fail in life taking the safe route so why not have a crack at doing something you love; there really is nothing to lose! Well except maybe a little bit of dignity if you rub chilli in your eyes and start sobbing uncontrollably into the camera on National TV (*sigh*). That aside, I’ve come out the other side feeling inspired, re-invigorated and ready to face my next challenge.